Hodges, Doughty & Carson has provided legal services in Knoxville for more than 80 years. Our lawyers strive to provide our clients with highly personalized service that is worthy of our Tennessee roots. We are a full-service law firm, helping our clients resolve issues in several related legal areas. Our practice relies upon the exceptional talents of our lawyers, the substantial experience of our firm and our wealth of resources to address the individual needs of each of our clients in eastern Tennessee. 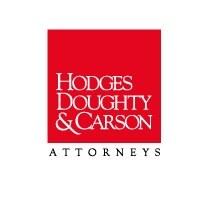 The law firm of Hodges, Doughty & Carson is one of the largest law firms in Knoxville. We zealously represent our clients with an abundance of talent and personal attention under one roof in the areas of business and commercial law, construction law, employment law, criminal defense, estate planning, family law, personal injury, real estate law and workers' compensation. Our experience and skills as trial lawyers in these areas transfers and provides us with unique perspectives to represent the needs and best interests of plaintiffs as well as defendants to legal issues involving these areas of law. Several of our attorneys are all court-approved mediators in these areas. For decades, we have tried, negotiated and mediated cases in municipal, state, federal and appellate courts. We have a well-established record of success as a defense firm in many additional legal areas, including business and commercial litigation, utility issues, construction, employment law, environmental law, civil litigation, personal injury, insurance defense and public institution representation. Our law firm takes pride in our integrity and the ethical judgment we employ in preparations and strategies for pursuing each client's best possible resolution. Our attorneys are actively involved in the community, volunteering and providing leadership to professional organizations, local boards and committees with a variety of organizations. We would be honored to leverage our resources and knowledge to resolve your legal problem with precision and efficiency.